04 Mart 2019 Pazartesi 05:00 - 4 reads. 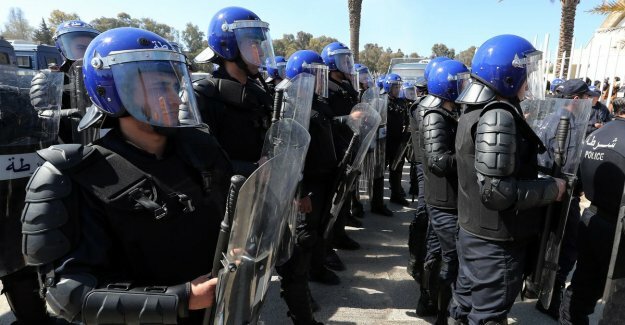 In the Algerian capital Algiers, the police today the water cannon and tear gas deployed against students who want to advance to the Constitutional Council. The 82-year-old president Abdelaziz Bouteflika is at midnight to register if he next month will participate in the presidential elections. The elderly leader has been in power since 1999 and is struggling with a very fragile health. Despite his physical challenges, aspires to he a fifth term as president of Algeria. His main opponent in the presidential election of 2004 and 2014, opposition leader Ali Benflis, will not participate in the presidential elections of 18 april in Algeria. That he has announced today. “I have no more place in an electoral competition in which our people forged and twisted character to the jaw. The people have spoken and I have listened,” explains Benflis his decision. According to him, the people his fate again in their own hands, and the presidential elections in the current circumstances “no meaning or right to exist”. The past few days swelled the protests in Algeria against the plan of the elderly Bouteflika to re-throw do to the presidency, despite his fragile health. The president got in 2013 a stroke and appears rarely in public.